This collaborative film highlights Las Milpitas de Cottonwood community farm and its members in their efforts to provide educational opportunities, capacity building, and a place for Tucson area residents to grow their own food. The farm serves as a working demonstration site for desert food production, composting, ecological restoration, and permaculture. The film features interviews with farm staff, plot managers, and community members who share their personal experiences and stories about gardening, community building, and creating a sense of place in the arid conditions in the Southwest. Growing Together was filmed between 2013 and 2014. 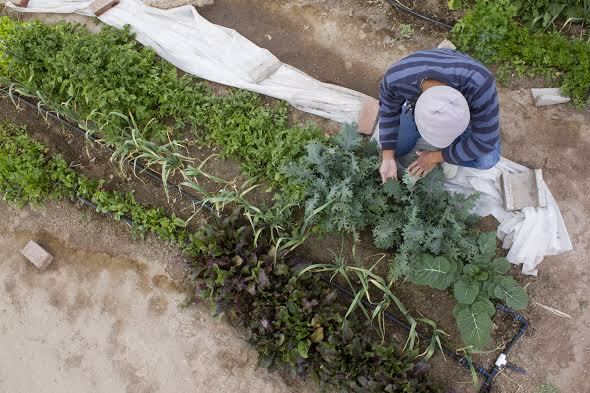 It is a collaborative production of the Bureau of Applied Research in Anthropology at the University of Arizona, the Community Food Resource Center at the Community Food Bank of Southern Arizona and the Las Milpitas Community Farm. The Las Milpitas de Cottonwood farm is operated through the Community Food Bank of Southern Arizona and has been open since 2012. The farm serves as a focal community point that works as a hub of communication, information-sharing and deliberate co-learning. The continuing BARA project will lead to a better understanding of the development of the urban community and social capital.